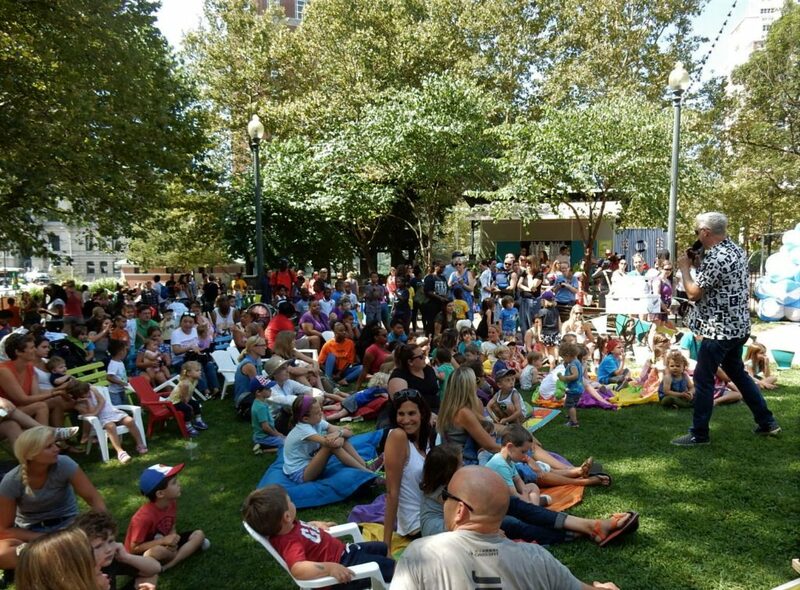 Join the Downtown Providence Parks Conservancy for a summer of fun! The programming season kicks off with Kidoinfo Play in the Park on Tuesday afternoons during the Downtown Farmers Market. From 3-6pm each week, this FREE program offers a range of activities covering music, art, science, nature, and other topics. Check out the DPPC’s Imagination Center, featuring the Open Air Reading Room and Creative Playspace with books, arts and crafts, theater projects, and other activities. On Thursdays from 10:30am to 12:30pm, the DPPC hosts the FREE Kidoinfo Storytime + Art in the Park series, with free face painting by Ratt Scallion Face Painting! During Storytime, from 10:30 to 11:30am, local authors, illustrators, storytellers, and performers share stories with children and adults. Immediately following, from 11:30am to 12:30pm, Art in the Park brings inconic children’s books to life through hands-on art projects led by local artist Alison Paul. This year’s theme is Where the Sidewalk Ends, poems and drawings by Shel Silverstein. After these programs, the Imagination Center will remain open until 2pm. And every day, Brandon’s Beach at Burnside Park, downtown’s one-of-a-kind playground is open during daylight hours. Follow DPPC on Facebook for updates throughout the season!